Studying at university in the UK? My Baggage can help! If you’re moving away to university, My Baggage can help. We offer fast, reliable and low cost student shipping within the UK. 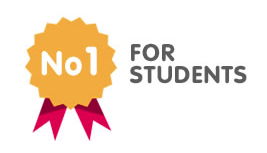 My Baggage is the No.1 Student Shipping Service. Based in the UK, we help 30,000+ students send their luggage to and from uni every single term. We’ll transport your belongings from your home, straight to your university, no matter where you’re studying. We offer door-to-door service to all addresses in the UK and worldwide; as we ship to over 200 countries. As you know, packing for university can prove to be a stressful task, with so many items to bring. Between clothes, shoes, books, toiletries and electrical items, your luggage can really start to pile up. Transporting all that luggage to university can be quite an effort. If you’re travelling by car, packing all your stuff in can be a nightmare, not to mention a strain on your fuel costs. And if you’re getting there by bus or train, travelling with loads of heavy bags in tow can be impossible. Student shipping removed all this stress. We’ll take care of your baggage, making your journey to university as stress free as possible. Price Match – if you find a cheaper price elsewhere, we’ll try to beat it! We understand that handing all of your belongings over to a student shipping company can cause some apprehension; these are your prized possessions and you want them to be safe. Thankfully, My Baggage are experts at shipping luggage. We help tens of thousands of students every term. For extra peace of mind we provide full online tracking and SMS and email notifications to keep you updated. For your convenience we offer a door-to-door service and we can be flexible around your journey to university. Choose your collection date when booking to ensure that your luggage arrives on time. 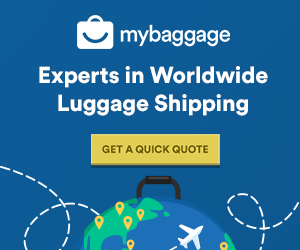 My Baggage collects and delivers from all towns and cities within the UK. Even if you’re living in Edinburgh and studying in Birmingham, we’ll transport all your belongings quickly and safely. 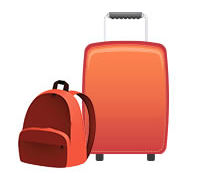 We have fast luggage delivery times of two days or next day on our Express service. You can choose the one which suit you best. The best part about My Baggage is that our costs are low to suit a student budget. All of the My Baggage team have studied away from home, so we know that saving money is a top priority. It will cost from £16.99 to send your luggage within the UK. There are no hidden charges. All items are priced individually, so get a quote for your shipment.